ChipMOS Bermuda (IMOS), through its subsidiaries including ChipMOS Taiwan, is one of the leading companies in the semiconductor assembly and testing services (SATS) industry. While ChipMOS has appreciated significantly over the past year, it still appears quite cheap. The firm has established a niche in an industry with significant barriers to entry with significant tailwinds over the upcoming years, to go along with a balance sheet flush with cash. Yet it still trades at levels predicting a precipitous decline in the business, and shares are likely worth at least $26. Catalysts including listing on the Taiwan stock exchange and continued business improvement should drive the stock higher. ChipMOS has already been written up quite well already by Valuable Insights and Jaret Wilson. This article will attempt to not reiterate their insightful points unless needed. This article provides information beyond these articles in the form of a multi case DCF analysis, recent comparable company valuations, and updates on recent events, among other points. Additionally, the specific end markets to which ChipMOS products are tied to are described in a recent investor presentation from ChipMOS. While testing and assembly are currently the largest segments, ChipMOS is focusing much of its efforts on the LCD and Bumping segments. Due to competition, market opportunities, and other factors, Bumping and LCD have been growing at rates of 25% and 10%, respectively while Assembly has largely stayed flat, and testing has been declining at up to 10% per year since 2010. ChipMOS’s competition is segregated into 2 different parts: testing/assembly, and LCD/Bumping. Within testing/assembly, ChipMOS competes against the major outsourcing semiconductor assembly and testing companies (OSAT) such as Amkor (AMKR), Advanced Semiconductor Engineering (ASX), Siliconware Precision Industries Limited (SPIL), and STATS ChipPAC (STTS). These companies are all larger in size and market share than ChipMOS. It appears unlikely that more firms will either enter the overall OSAT industry, or existing firms will make significant pushes into the LCD or bumping space. Industry entrance would require massive upfront investment that a semiconductor producer would find unappealing and likely provide poor returns. According to ChipMOS’s 2012 10-K, ChipMOS’s plant property and equipment cost approximately $1.9B. To put this in perspective, Micron (MU), the second biggest producer of flash memory and one of ChipMOS’s biggest customers, expects upcoming capital expenditures to be approximately $1.5B. With front end producers such as Micron becoming more disciplined in their capital spending, it would be difficult for Micron to justify such a large non-core investment. Even if another company got that investment approved, it would be difficult to gain business, especially from ChipMOS, because this production requires significant expertise, manifested by qualification requirements. Finally, even if another company could pass the qualifications, it would be difficult to achieve the needed scale to profit, as fixed costs are significant. Existing industry competitors are unlikely to enter the LCD/Bumping areas in the near future as they have already shown the desire to exit the industry. According to Credit Suisse, Advanced Semiconductor Engineering chose to exit the business line in 2003, while SPIL sold this part of the business to ChipMOS in 2010. Furthermore, Credit Suisse also explains how current competitors’ equipment can not be used for LCD/Bumping segments because every type of production is very specialized. The industry is poised to benefit from a continued use of OSAT companies by major semiconductor companies. This trend is likely to continue due to the specialization and scale that these OSAT firms can achieve, but integrated producers can not. ChipMOS and Amkor both discuss this trend in recent presentations. This indicates that production will remain innovative preventing commoditization, which helps specialized incumbents such as ChipMOS. There is already evidence of revenue growth for ChipMOS. First Micron has been doing quite well and is poised to continue growing. Success at Micron should trickle down to ChipMOS. To account for the improvement in its business lines, ChipMOS has been expanding its capacity in multiple ways. At the end of last year’s fourth quarter, ChipMOS announced that it was increasing its 12″ gold bumping capacity by 50%. At the end of the second quarter, ChipMOS announced that it was pulling forward $28MM of CAPEX to respond to improved demand in the LCD market. In the 3rd quarter, ChipMOS teamed up with one of its subsidiaries, ThaiLin, for finger print sensor components. These factors are just as important for ChipMOS’s bottom line. Due to its large amount of fixed costs a small decline in revenue can disproportionately decrease the company’s profits. Additionally, the segments that are growing LCD and Bumping have generally lower fixed costs (as % of revenue) at 34% and 20%, respectively, then testing and assembly, at 56% and 19% respectively. This shift should give the firm more flexibility. Large capital investments need by industry participants. From 2004 to 2010, ChipMOS spent almost $1.6B on fixed investments, spending upwards of 75% of revenue in some years. 2011, however, marked a turning point for the company. It appears that ChipMOS has finished major upfront spending, and is now simply spending for maintenance or specific projects. Furthermore, ChipMOS is expecting capital expenditures for 2014 to be about $70MM, putting the company on track for its lowest capex/revenue in recent history, and supporting the idea that ChipMOS has hit a turning point regarding CAPEX. With these massive capital expenditures have come significant DA expenditures. It has been discussed ad nauseam how DA has obscured the true profitability of the company. Unfortunately for those interested in cash flow, DA is schedule to continue declining, reducing the tax shield. However, this reduction will improve GAAP earnings, potentially providing a more short term catalyst. For a detailed yet clear explanation of ChipMOS’s corporate structure please see Jaret Wilson article cited earlier. ChipMOS consolidates financial statements of its subsidiaries making it tricky to figure out how much of ChipMOS Taiwan’s and ThaiLin’s earnings, cash and other items does ChipMOS Bermuda own. Fortunately, the bulk of the earnings come from ChipMOS Taiwan as ThaiLin’s operations make up less than 10% of consolidated sales, so ChipMOS Bermuda’s results are dominated by ChipMOS Taiwan’s operations. Earnings attributable to ChipMOS Bermuda is a little less clear. But the last 7 quarters do provide some insight into the portion of cash flows owned by ChipMOS Bermuda. On average, net income attributable to non-controlling interest averaged 18.4% or 1.9% greater than the % of ChipMOS Taiwan shares not owned by ChipMOS Bermuda. For the purposes of the model, it is assumed that ChipMOS Bermuda receives 60% of all cash flows generated, after taking into account the recent sale of ChipMOS Taiwan shares. Reliable information could not be found on ChipBond, although as detailed by other authors, ChipMOS trades at significant discount to it. ChipMOS is basically the cheapest on every single metric. A reversion to mean EV/EBITDA Yield represents an upside of 21%. However, ChipMOS should probably trade at a premium to these companies. These firms have been unable to generate cash flows, while ChipMOS has generated significant flows. While ChipMOS may be underspending in terms of CAPEX, the large investment from 2004 to 2010, recent CAPEX trends, and ChipMOS specific decisions to invest in LCD and Bumping, makes that unlikely. Additionally, the other 4 companies do not have the exposure to the LCD and Bumping segments which are less competitive and growing more than the segments that dominate other industry players. Finally, these levels indicate ChipMOS is likely cheap on an absolute basis. These metrics reflect a company in decline, not one well positioned for the future. Bear Case: Testing continues to decline in terms of revenue and utilization, as ChipMOS is unable to right size this segment due to competition and poor management. Assembly turns against recent stability and also declines due to competition. Bumping grows more slowly than other cases. Due to presence of higher competition, investors assign ChipMOS an 11% FCF yield. Base Case: Testing continues to decline but a little bit slower than the bear case. However ChipMOS is able to improve utilization slightly through good management. Assembly remains stable through the years. LCD and Bumping remain strong. Due to stable fundamentals with some growth in the future, investors assign a 9% FCF Yield. Bull Case: Testing declines, but only at 6% per year and utilization sees the least amount of decline. Assembly remains stable. 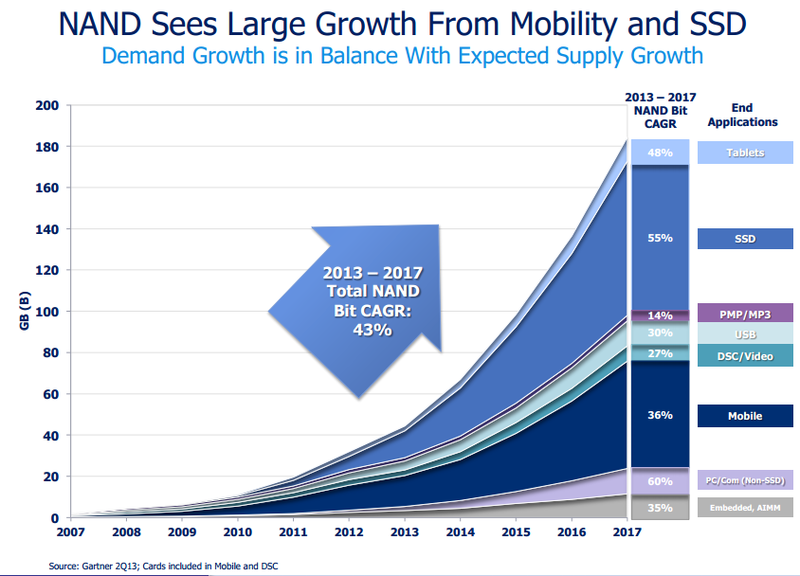 LCD grows faster than it has been over the past few years, reflective of the current strong market. Bumping remains strong. Investors assign ChipMOS a 7.5% FCF yield, to reflect the improved growth prospects. The results illustrate a strong asymmetric return profile at today’s results. This is largely a result of ChipMOS’s significant cash balance. Fortunately, investor’s should see an increasing amount of this cash balance. The significant amount of cash at the holding company level is not needed for the operating business in Taiwan and the company has expressed interest in using this cash. Furthermore, as the company lists on Taiwan, and ChipMOS Bermuda shares become ADR’s, assets at the holding company level will not be necessary, potentially accelerating a special dividend or a significant buyback. Once the firm has transitioned to being listed on the Taiwan Stock Exchange, management is incentivized to return earnings to shareholders, else, they face a 10% tax for retained earnings. 1) Cyclicality Of The Industry: The overall semiconductor industry is certainly cyclical with many products being commoditized, and supply coming on or offline constantly. However, investors should recognize that ChipMOS’s niche is significantly less cyclical than others due to the smaller number of existing competitors and significant CAPEX required to enter. While testing and assembly could face difficulties in the coming years, the opportunities in LCD and Bumping should be enough to propel the company. 2) Squeeze From Consumers Causing Margin Contraction: While ChipMOS’s consumers are much larger than ChipMOS, they do offer a relatively unique service in LCD and Bumping because of limited suppliers. Margin contraction in the other 2 segments has already been modeled. 3) Spike In Capital Expenditures: A return to past levels would kill the thesis. But levels have moderated. Even after pulling forward $28MM this year, CAPEX is about $128, still less than almost every year before 2011. Disclosure: I am long IMOS. I wrote this article myself, and it expresses my own opinions. I am not receiving compensation for it (other than from Seeking Alpha). I have no business relationship with any company whose stock is mentioned in this article. Additional disclosure: The author has presented the facts to the best of his knowledge. He encourages investors to do their own due diligence.